Every opera lover enjoys a performance more when accompanied by a knowledgeable friend. In this indispensable guide, well-known opera critic Charles Osborne provides exactly that. Osborne fills in the details on 175 of the world’s most frequently performed operas, including facts about the composer and the music, a plot outline, accounts of famous performers, and much more. 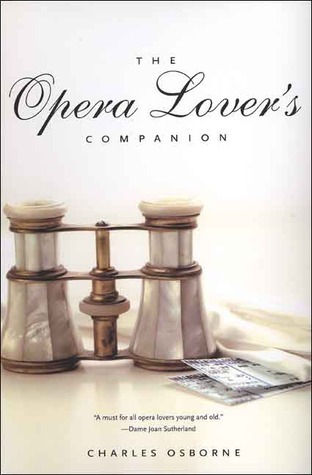 The Opera Lover's Companion is a delightful read for any opera fan. At over 600 pages, it offers a comprehensive catalogue of the opera repertoire, each listing featuring character information, an introduction to the opera, a brief synopsis, and recommended recordings. It's a book designed more as a reference work, to be dipped into rather than read cover to cover.